Following completion of Vicodin rehab or other treatment program, aftercare can be beneficial in preventing relapse and maintaining a healthy recovery trajectory. Immediately following discharge from a treatment program, individuals are prone to relapse; aftercare can provide the support and monitoring required to prevent such an event. Immediately after discharge from rehab, individuals are at high risk of relapse.Overcoming the struggles of Vicodin addiction is a process that may require several levels of care to achieve treatment goals and success in early recovery. While rehab can be a great starting point--allowing for drug detoxification and time to heal in a safe and supportive setting--individuals are still in early recovery upon discharge. During this period, they are vulnerable to relapse as they adjust to life in the community without the structure, support, and safeguards provided in residential treatment. Support from peers in sober living communities. Individual and family counseling through outpatient programs. Self-help programs in the community. The importance of aftercare following rehab for opioid addiction has been highlighted in research with at least one study suggesting that the period immediately after discharge holds a high risk of relapse without a formal aftercare plan. Planning for continuing care can begin early as part of a comprehensive treatment plan before entering rehab or prior to completion of rehab. If you or a loved one is considering rehab for Vicodin addiction and are unsure of what to do next, call 1-888-993-3112Who Answers? to speak to one of our treatment support team members who are available 24 hours a day. Problem-solving and drug refusal skills. Avoidance strategies and activities which promote sustained abstinence from Vicodin and other drugs. In cases of addiction to Vicodin and other opioids, a relapse prevention plan can be supplemented with the use of naltrexone, a medication that blocks the effects of opioids thereby deterring continued use and minimizing overdose risks. Periods of remission and relapse. Persistent disability - likely secondary to respiratory/cardiac arrest. Addiction is often compared to other chronic medical conditions due to these characteristics and also shares high rates of relapse, which should be considered a common and expected occurrence. Relapse rates for addiction (40-60%) have been compared to that of type I diabetes (30-50%) and hypertension (50 to 70%). not necessarily be the sole priority for all individuals in all stages of treatment. Reductions in the harms associated with using, especially through the use of opioid substitution medications, should be considered a major accomplishment. Remember that relapse, while not a desirable occurrence, is common and should not be a signal to give up hope in recovery. Continuing care involves less structure than that found in rehab and relies on outpatient services and self-help and community resources such as participation in 12-step programs or similar support networks. Monitoring of medical conditions and co-occurring psychiatric symptoms. Assistance with skill building in areas of life affected by addiction. Use of medications to assist with treatment. Planning to get help for Vicodin addiction can be overwhelming but does not need to happen alone. If you or a loved one is considering rehab and want to learn about continuing care options in your area, call to speak to a member of our treatment support staff at 1-888-993-3112Who Answers?. A major review of existing research on psychosocial interventions for the treatment of opioid dependence suggests that cognitive behavioral therapy (CBT) and contingency management interventions are effective when added to an opioid substitution regimen. Addressing other psychological symptoms or disorders. 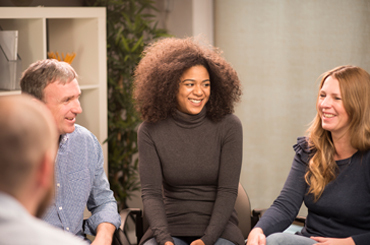 Outpatient counseling programs may include 12-step facilitation, a type of therapy that introduces individuals to the fundamentals of self-help groups such as Alcoholics Anonymous and Narcotics Anonymous. The therapy sessions serve as added support for those following a 12-step approach to recovery and guide individuals through the steps of the program. These programs are abstinence based but can still be appropriate for individuals who are prescribed opioid substitutes. Medical care following rehab may be necessary to continue a medication regimen and monitor any symptoms and conditions that were caused or affected by Vicodin use, including physical and psychological harm. Although not exclusive to Vicodin users, research suggests that chronic conditions such as diabetes and respiratory and heart disease are prevalent among individuals treated with opioid substitution medications. Another condition commonly found with users of Vicodin and similar drugs is chronic pain, which should be addressed with both medical and psychological support. Those with a history of injection drug use should also be monitored for infectious diseases caused by repeated injecting and contaminated needles. Finally, some patients may benefit from maintenance therapy with Suboxone, which has shown to be effective in preventing continued opioid abuse among persons in treatment for prescription painkiller addiction. A transition from rehab to a sober living community may be helpful for individuals who are not ready for the stressful conditions of everyday life. Continuing care in a sober living community provides support in the form of a safe environment while helping with the development of skills and behaviors to promote success in recovery. Therapeutic communities are traditionally drug-free, therefore individuals who receive opioid maintenance medications such as methadone or Suboxone should check with facilities for specific rules and policies. In contingency management, individuals receive immediate feedback in the form of positive or negative consequences depending on behavior. Achieving long-term sobriety can be challenging with seemingly little reward initially, creating the potential for treatment drop out or relapse. The inclusion of contingency management in continuing care provides incentives such as vouchers and other rewards in exchange for meeting treatment goals (e.g. negative drug tests and participation in counseling sessions). Studies have shown that contingency management interventions, when implemented with other treatment methods, are effective in retaining individuals and preventing relapse. Don't Wait Help is available now. Find a rehab center or talk to someone today. Vicodin addiction can cause harm to users and loved ones alike. Strained relationships are not automatically repaired after the completion of rehab and are an important consideration when developing an aftercare plan to ensure that nobody who has suffered is left behind. Family members may need psychosocial support for themselves and receive individual therapy. They can also attend support groups specifically for loved ones of persons in recovery such as Al-Anon and Nar-Anon. Attending private and group family counseling sessions. Helping in the maintenance of a safe and supportive environment at home.